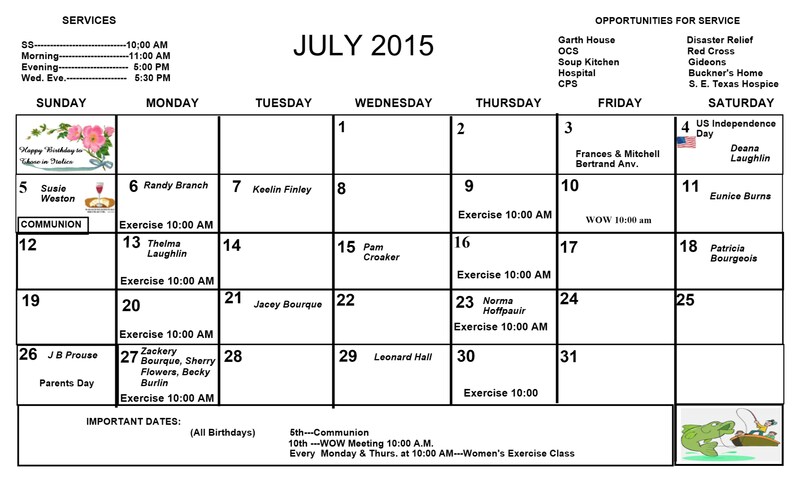 Here is our monthly Newsletter for July. 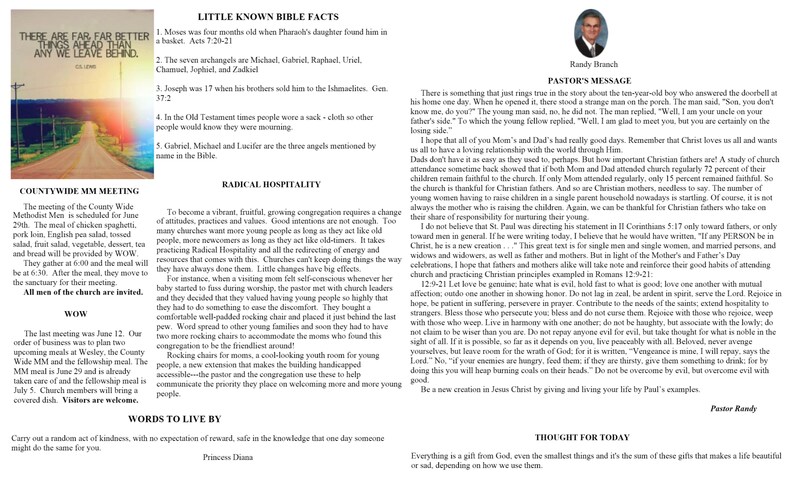 Remember you can always find it in the pages on the right hand column under Newsletters. 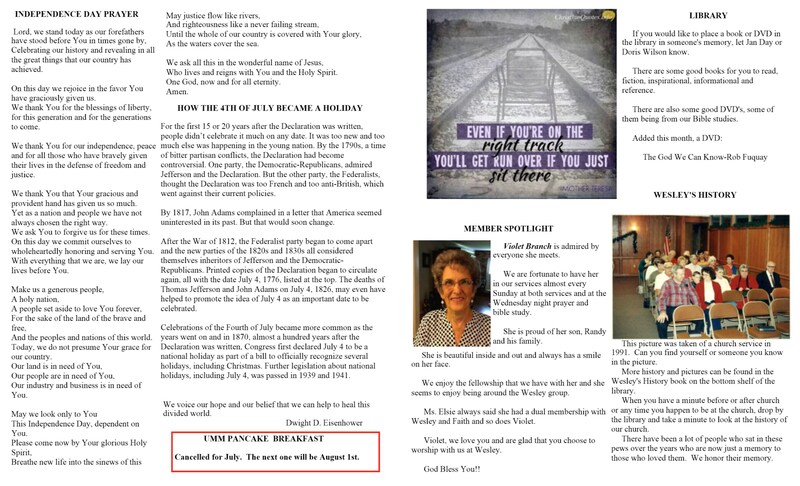 You can go back quite a ways to find info or look at past Newsletters. Have a blessed day following Jesus Christ as your savior. The pages below are too little to read but you just have to click on one of them to make it big enough to read. 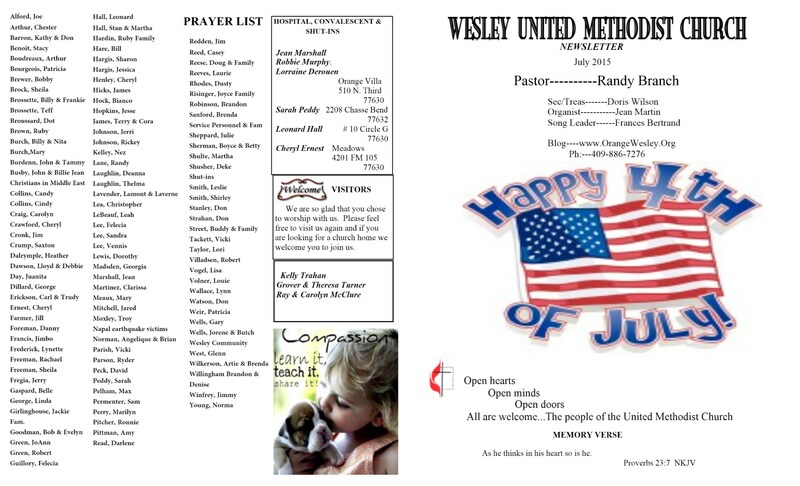 This entry was posted on July 1, 2015 at 9:29 am and is filed under Wesley United Methodist Church. You can follow any responses to this entry through the RSS 2.0 feed. You can leave a response, or trackback from your own site.